The queue was long even before the lunch peak hour, seemingly the most popular stall in this coffeeshop. 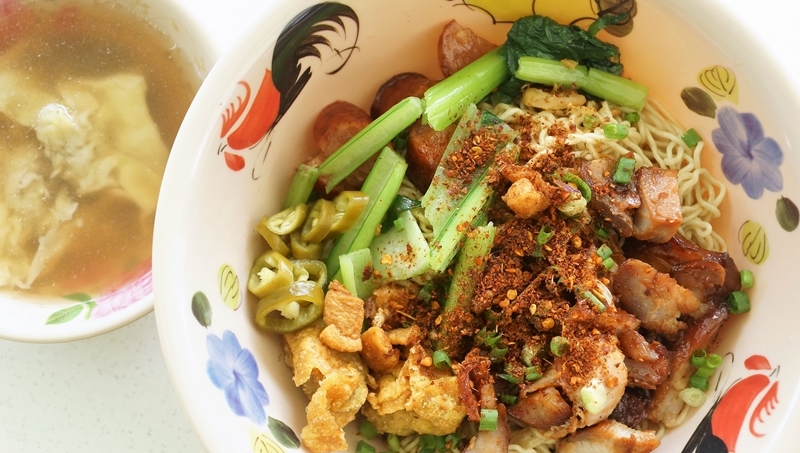 Soi 19 or Street 19 at Bangkok is famous for its Thai wanton mee. The Soi 19 here in Singapore has no relationship with the popular Soi 19 in Pratunam Bangkok. So, how did the local Thai version fare against the big guy back in Thailand? 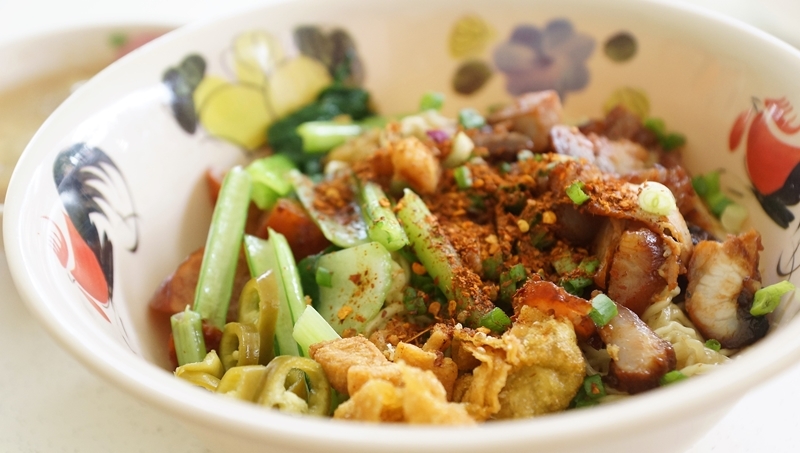 Thai wanton has a distinct flavour with high emphasis on the pork lard oil to perk up the taste. Will we be able to find the same here at Soi 19? We ordered the standard size $4 and another one with upsize $6. 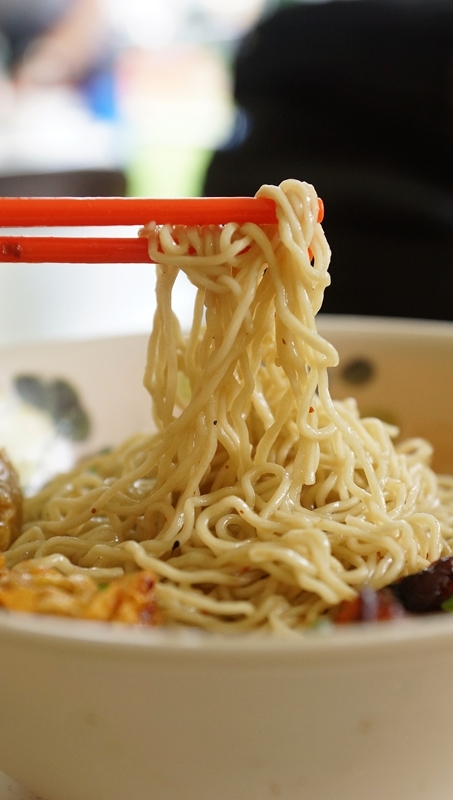 Thai wanton mee are usually not served with chili sauce, a distinct difference to the local version of chili base seasoning sauce noodle, and that makes the pale looking eggy noodle looks less appealing. 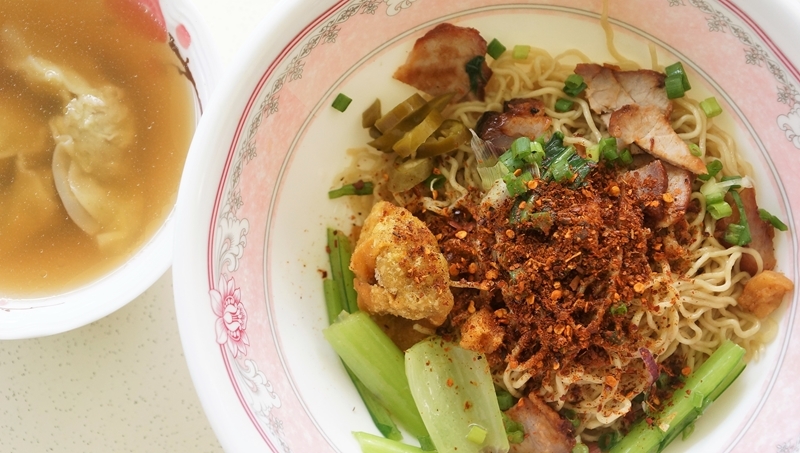 The flavour of a Thai wanton mee is largely reliant on the concoction sauce with the sinful lard oil. Unfortunately, the much sought-after flavour for a real good Thai wanton mee was not evident at Soi 19. The sauce was somehow missing the right aroma to make a bowl of enticing noodles. Toppings were generally good, with char siew, Chinese sausage, veggies and fried wanton. Noodles were cooked with al-dente texture. The accompanying soup was a sweet tasting concoction but sweetness could be overwhelming. 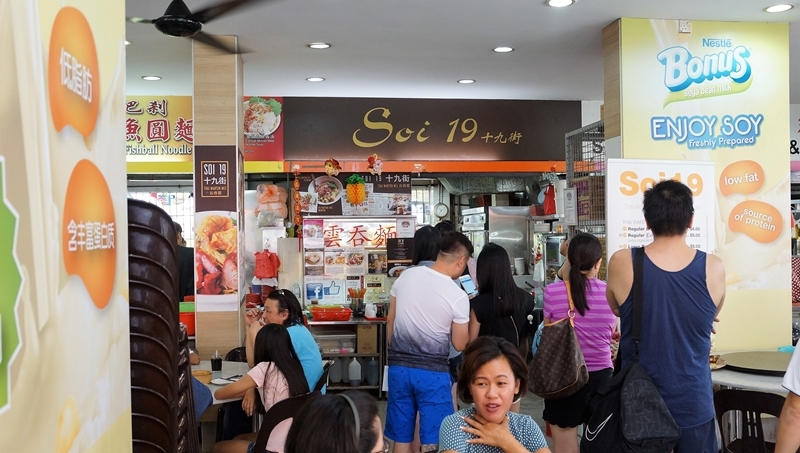 Soi 19 Thai wanton mee may appear a little tame but diehard fans of Soi 19 will continue to exalt their favorite Thai wantons here. 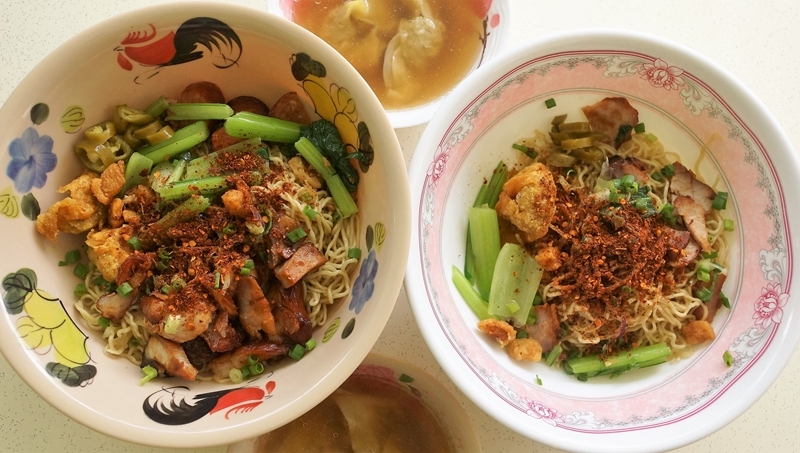 In our opinion, there are still some gaps to bridge for a real good Thai Wanton mee if compared to the authentic one back in Bangkok.